Beijing: Five people have been killed in China’s far-western Xinjiang region after attackers drove a vehicle into a government compound and set off a makeshift explosive device, in an incident the country’s official state media have described as a “terrorist attack”. The five dead include the four attackers, who were shot dead in the incident in the remote county of Karakax on Wednesday afternoon local time. One other person died and three people were injured, the local government said late on Wednesday, without providing further details. It said the four “thugs” drove a vehicle into a yard at the county Communist Party offices and detonated an “explosive device”. Violence and ethnic unrest has plagued Xinjiang in recent years with the Chinese government blaming the rise of radical Islam among ethnic Uighurs who call the region home for a series of deadly attacks in the region and in other Chinese cities, most notably a mass stabbing at a railway station in Kunming in 2014. Uighurs – a Turkic-speaking Muslim ethnic minority whose culture and language sets them apart from the majority Han Chinese population – in turn say the Communist Party’s repressive rule and restrictions on their religious freedoms have exacerbated the unrest. Beijing has increasingly grappled with what it says are significant numbers of Uighurs travelling to Syria to fight alongside Islamic State. In September, Kyrgyzstan state security officials said Syrian-based Uighur militants were behind a suicide bombing at the Chinese embassy in Bishkek in late August. 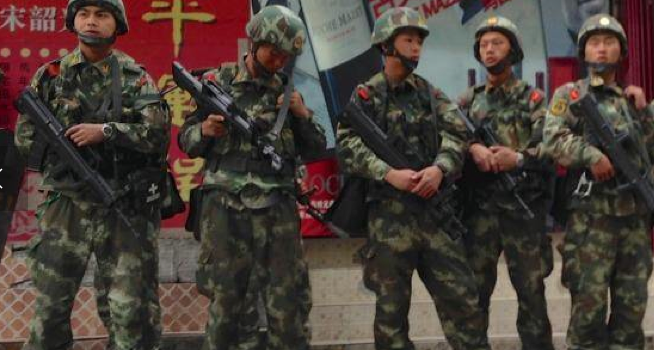 Last month, Chinese authorities ordered Xinjiang residents to begin turning in their passports to police. The new regulations require all residents to hand over their travel documents and then apply to get them back if they wish to travel overseas. Chinese state media said the policy was designed to “maintain social order” amid the rising spectre of terrorism in the region. Last week, a van drove into a market in northern Beijing killing four people in an incident authorities said was not terrorism related. The story Xinjiang attack: vehicle rams into government compound killing several first appeared on The Sydney Morning Herald.